FEATURED COMPANY HOMEPAGE ADS — Display your message on our home page and key landing pages—links to your detailed listing. CONTACT TRACI FONVILLE AT 312-654-2325; TFON@TRENDPUBLISHING.COM OR YOUR SALES REPRESENTATIVE. Be one of 3 companies to grab a decision maker’s attention with EACH and EVERY product search—links to your detailed listing. 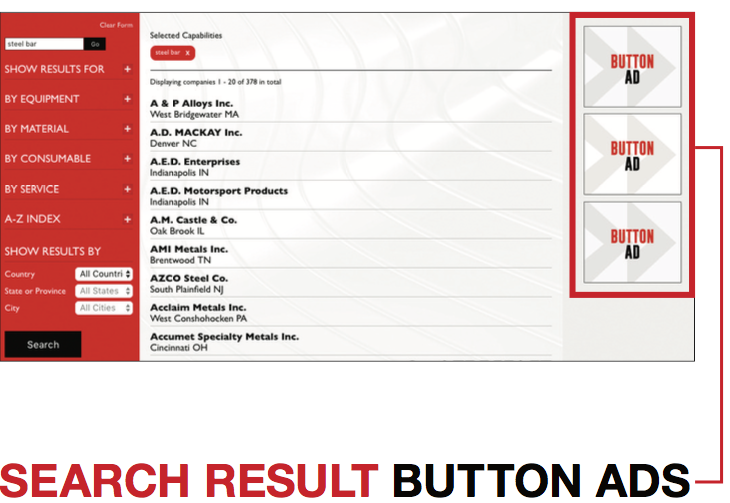 Make sure that the first search result a decision maker sees is your company’s listing. Secure one of the top two spots in targeted search results for an entire year. 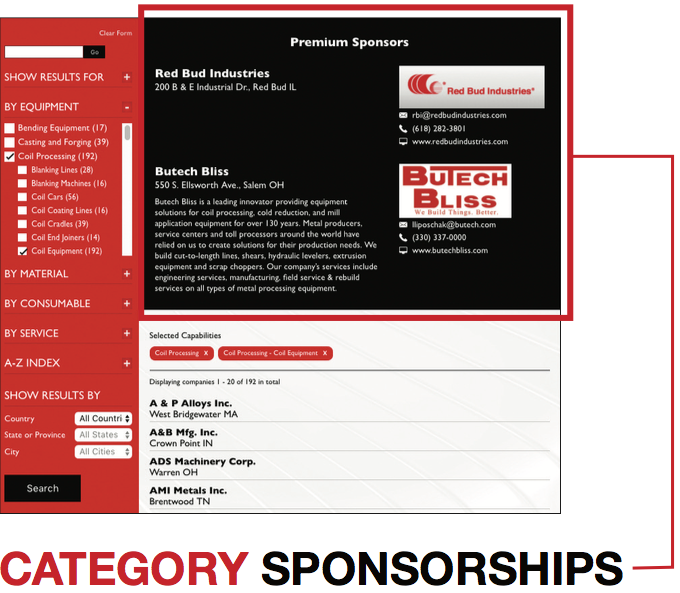 Purchase a Category Sponsorship and receive all ENHANCEMENTS to your company’s listing for FREE (details below). 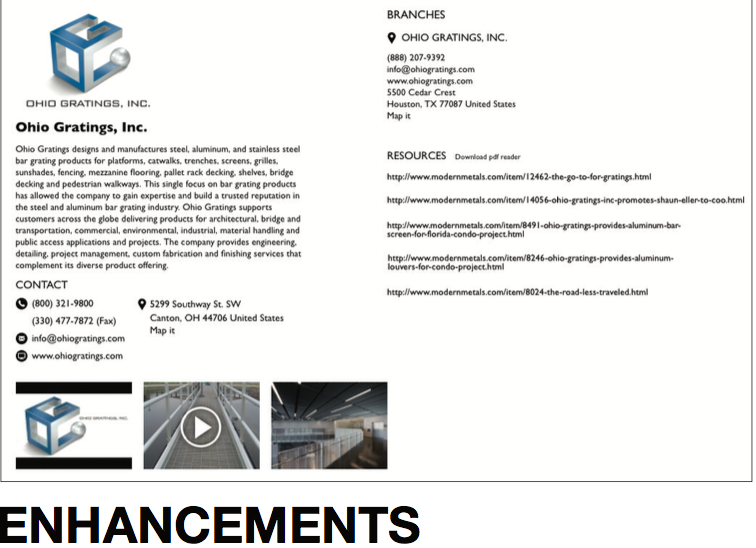 Enhance your company listing for a more complete picture of your company and its capabilities. Have your company’s logo appear with your listing—will show up on search results. Have your 100 word Company description show up on the search results. Provide links to your company's existing content; Articles, whitepapers, webinars, literature, Blogs, etc. Have your full address, phone number, email, and website show up on the search results. Showcase your installation photos, product shots, facility photos, or video (link to Youtube video) etc.